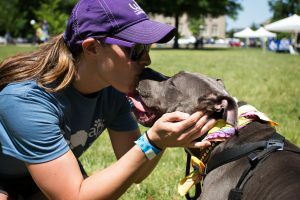 Grab a leash and join Animal Protection Society of Durham Saturday, May 25, 2019, 9am-1pm, and Walk For The Animals, at Duke University East Campus, at the corner of Main Street and Campus Drive, Durham, NC 27705, for the 1.5 mile walk around Duke University East Campus to raise funds to help homeless animals in Durham. Every year, APS of Durham cares for approximately 5,000 animals who are homeless, abandoned, neglected or abused. We provide basic necessities, meet medical needs and give a voice for the animals in our care and those who will be with us tomorrow. Join us and help give Durham animals the second chance they deserve! All ages and well-behaved dogs welcome. 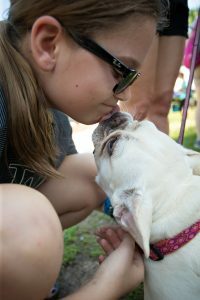 With your commitment to animal welfare and involvement with the Walk, APS can give Durham animals the care they deserve! WALK Fundraising Guide: After you register, click here to read our fundraising guide! Grand Marshall Contest Rules: Does your pet have what it takes to be the Walk Grand Marshall? Click here to learn more. 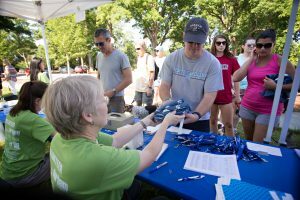 Become a Walk VIP - raise $500 or more and get treated to our VIP lounge in the gazebo. Yummy treats and refreshment will be generously provided by Trident Provisions. Curious? Kick your fundraising efforts into overdrive, get exclusive access and become the envy of all your friends. The Top Three Individual Fundraisers - will be rewarded with 1) a weekend stay in a charming condo in Morehead City; 2) a stay-cation in a lovely downtown Durham loft; 3) everything you need for a weekend camping trip. Top Team, Top Vets-In-Action Team, Top Youth Team, and VIP Fundraisers will be generously rewarded for their fundraising efforts! Each top fundraiser and team will receive a trophy and certificate. Click below to learn more! If you are interested in being a sponsor, please contact Darlene Fiscus at 919-560-0640 ext. 231 or development@apsofdurham.org. For more detailed information about sponsorship opportunities and benefits, see the forms below. Business Sponsorship Form: Interested in getting your business involved with supporting homeless animals? 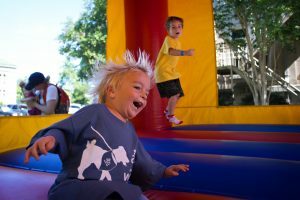 Event sponsorship is a great way to demonstrate your community support. Thanks for considering partnering with APS of Durham. Vets In Action Sponsor Guide & Form: This easy guide will help each veterinary practice determine the best way to become involved with the event as a sponsor. We look forward to partnering with you! 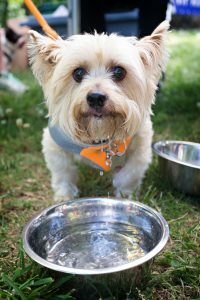 Join us as a vendor at the Walk For The Animals, and show your support for the homeless animals of Durham. It's a fun way to showcase your business. 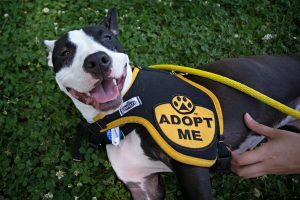 11:00—Introduces APS Adoptable Dog Parade: Meet some of the great APS dogs who are looking for forever homes! 11:20—Meet Walk Grand Marshal: Introduction & Official Walk Kick Off at the START line! —Half-K Special participants will begin with the entire group this year. The half-way mark and revised route will be clearly indicated at Baldwin Auditorium for those wishing to walk the shorter route and return to the Walk site. This shorter route is designed for smaller and older dogs not wishing to walk the entire loop. THANK YOU FOR SUPPORTING APS OF DURHAM!